Things have been quiet here on the blog as I’ve been keeping busy with cookbook promotion. This stage feels a lot like the fourth trimester after delivering a baby, complete with similar exhaustion and elation. I’ll share more about my book tour later in the month ( I am currently in beautiful British Columbia if you are following along on Instagram) but today I wanted to spotlight a few people in my community of food creatives. They have been cooking from The Simple Bites Kitchen and sharing recipes and stories with their own readers. I’ll also link to a few features in old school media; this dear book baby of mine has been getting a fantastic response and I’m just so thrilled that it has been well received. In no particular order, here’s a handful of lovely food writers who have featured a recipe or review of The Simple Bites Kitchen since its release. 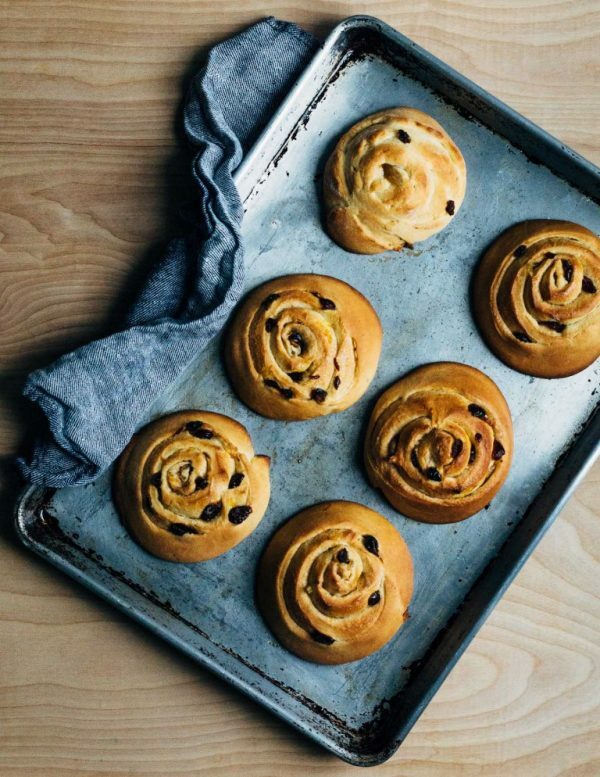 Overnight Spiced Stollen Swirl Buns ~ The talented Elizabeth over at the award-winning Brooklyn Supper made my festive swirl buns. I’m so glad this recipe is getting some love – because it’s spectacular! And our Christmas morning favourite. Book Club Tuesday – The Simple Bites Kitchen ~ Cookbook expert Kris from Shipshape Eatworthy tested over a dozen recipes from the book and posted her results, along with a full review. 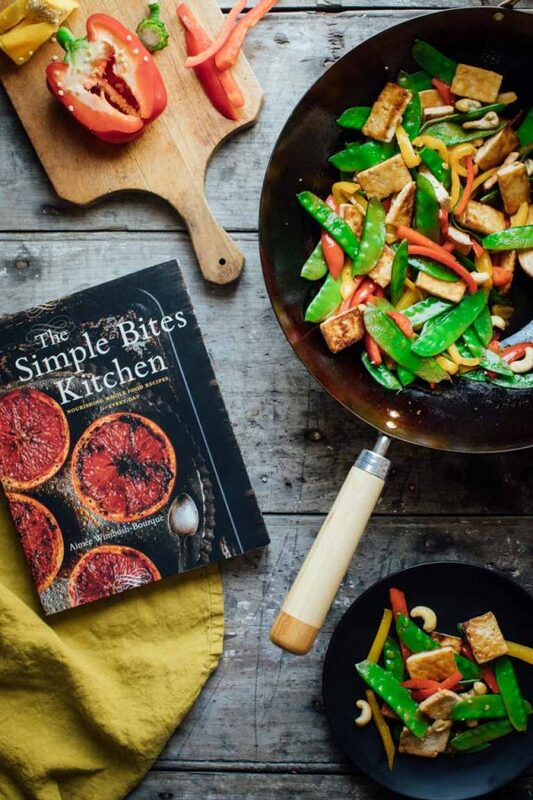 Tofu and Pepper Stir Fry with Cashews ~ Writing for Healthy Seasonal Recipes, food blogger Stephanie featured one of my favourite vegetarian (vegan and gluten-free, too) dinners from the book. She perfectly captured the vibrancy of this simple recipe. One-Pot Shrimp and Pea Orzo – I feel like I’ve been showcasing this recipe a lot on my TV segments, and I’m so glad I can point you in the direction of the recipe. My friend Dara of Cookin Canuck featured this weeknight dinner recently and made it look so beautiful. Aimee’s Winter Squash Pie ~ The generous Jennifer from The Lemon Apron made a stunning version of my go-to autumn pie. Seriously, her pie is much prettier than the version in my book! Spinach Lasagna Stuffed Sweet Peppers ~ This one is a listen! Catch me on the Sunday Night Dinner Podcast cooking up a storm with Suzanne. So fun. Whole Wheat Chocolate Chunk Zucchini Bread ~ Massive thanks to Renée Kohlman of the Saskatoon StarPhoenix for her lovely write up on my book. Butternut Squash Casserole with Leek and Apple ~ Bookmark this one for a holiday side dish – or an upcoming weeknight dinner. Thanks to Eat North for featuring the recipe and an interview. 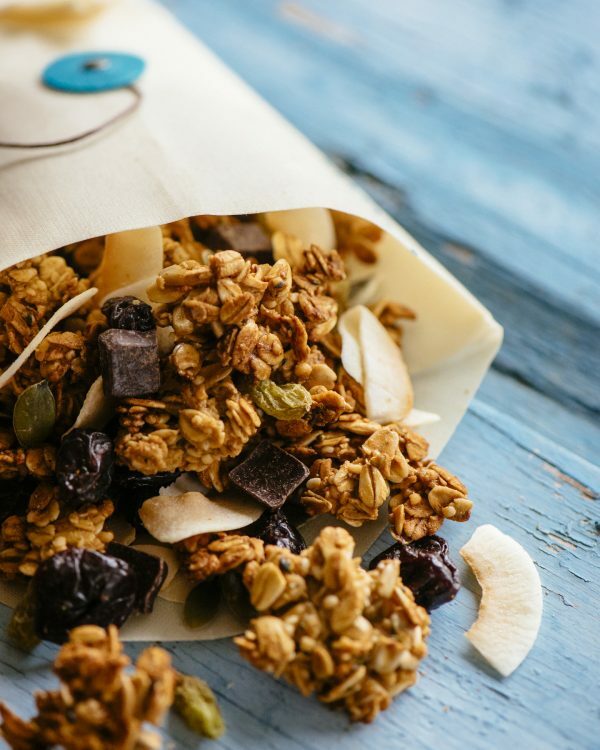 Granola Cluster Trail Mix ~ My favourite healthy snack, as featured on CBC Life. Be careful; it’s addicting! Slow Cooker Root Vegetable Cider Stew is perfect for this time of year. Find my recipe featured on Food Network Canada. And last but not least, popular Canadian women’s magazine Chatelaine featured my book in their famous holiday gift guide! Find it in the magazine on shelves now or online here >> 55 Gourmet Gifts For Foodies (Even If They Don’t Like To Cook). Well consider that your sneak peek at my new cookbook! If you like the look and sound of these recipes, you know where to find about ninety more right here. I’m so happy this book is finally out in the world and making its way into your kitchens. Have a wonderful week ahead, friends! Your cookbook is truly wonderful and really so much fun to cook from! Not sure if I’m an expert but I do love cookbooks! Thanks for sharing my review — you made my day! You inspire me so much to step outside my “usual” meals that I make for my family. Also, you give me the confidence that yes, I too can make the “fancy” stuff! Erin, thanks for the kind feedback. I’m thrilled to hear it. Keep cooking! Your cookbook is truly wonderful and really so much fun to cook from! Thanks a lot for sharing. Hope you can share more.